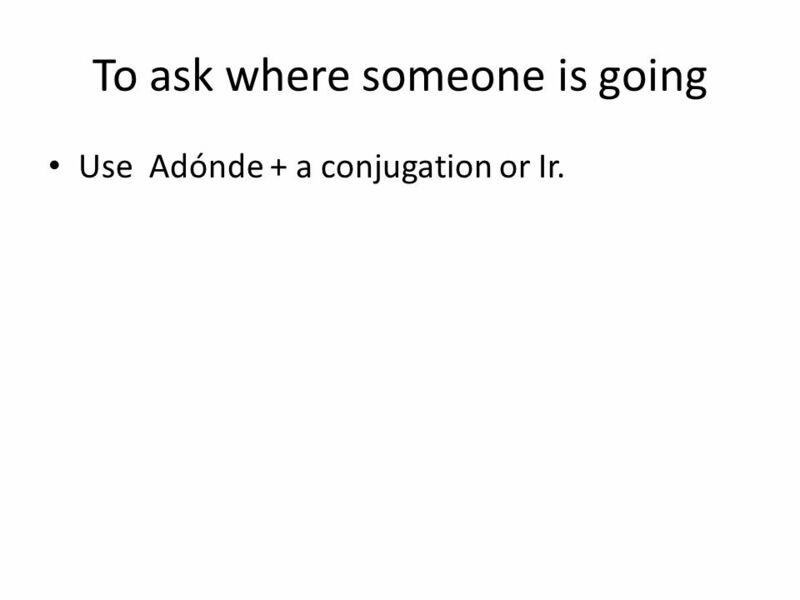 4 To ask where someone is going Use Adónde + a conjugation or Ir. 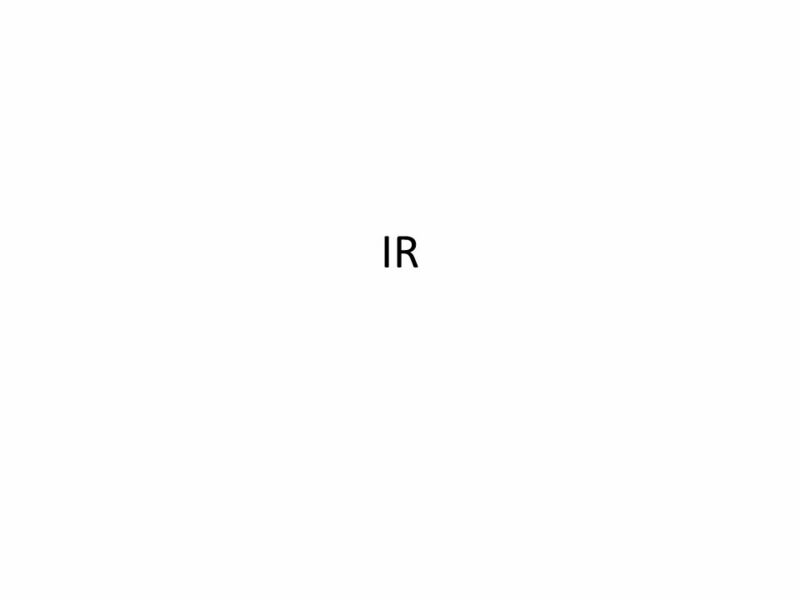 Download ppt "IR. 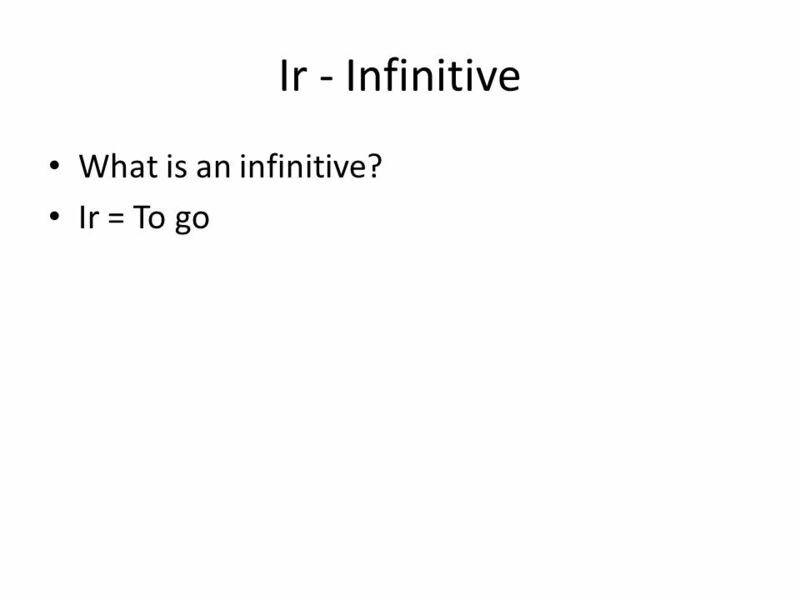 Ir - Infinitive What is an infinitive? Ir = To go." 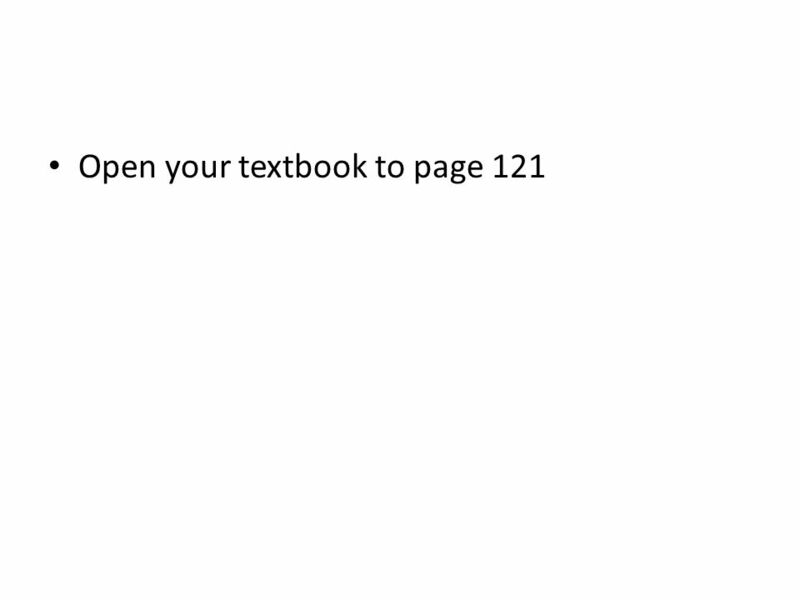 Speaking activity. 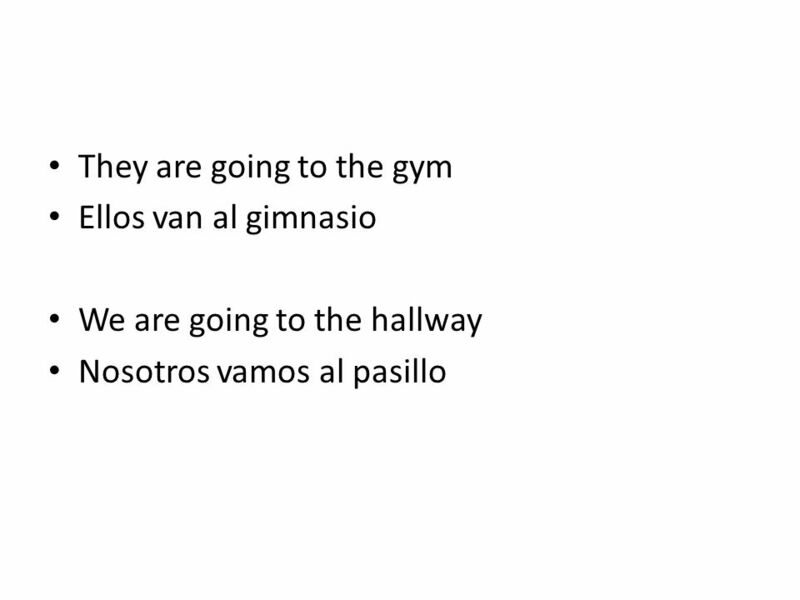 Ways to invite someone to do something: ¿Qué tal si vamos al partido de fútbol? –How about we go to the soccer game? Vienes conmigo. ALC 4 viernes el 22 de enero. 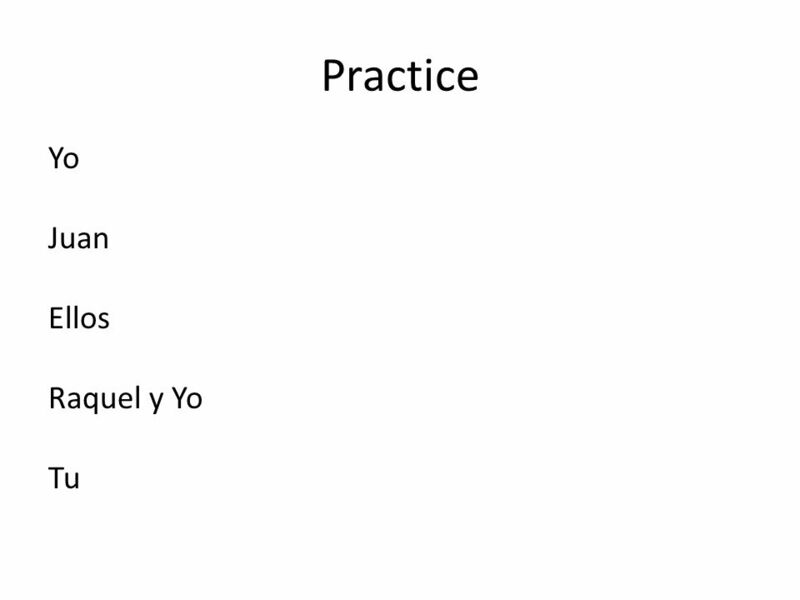 objetivo Review ir conjugations Places notes and flash cards Review regular verb conjugations. ALC 3 jueves el 21 de enero. OBJETIVO Make flash cards of places. 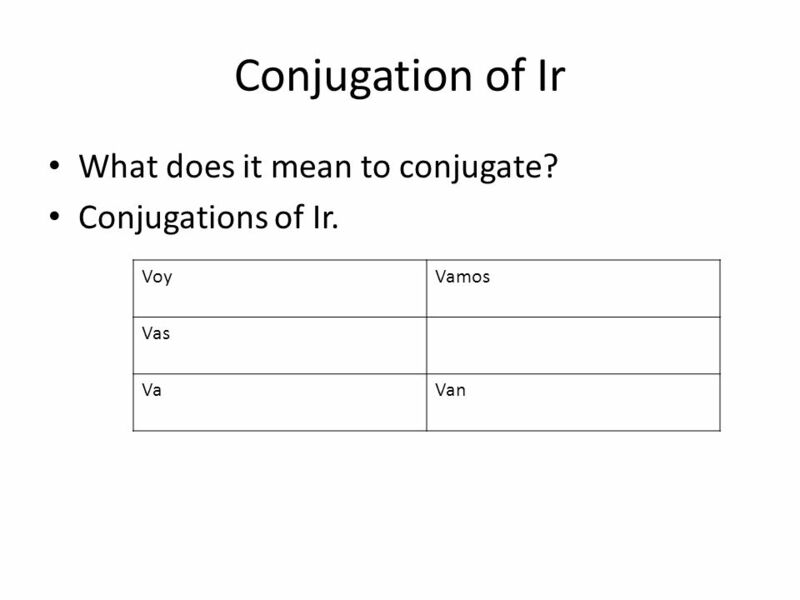 Learn to conjugate the verb ir. 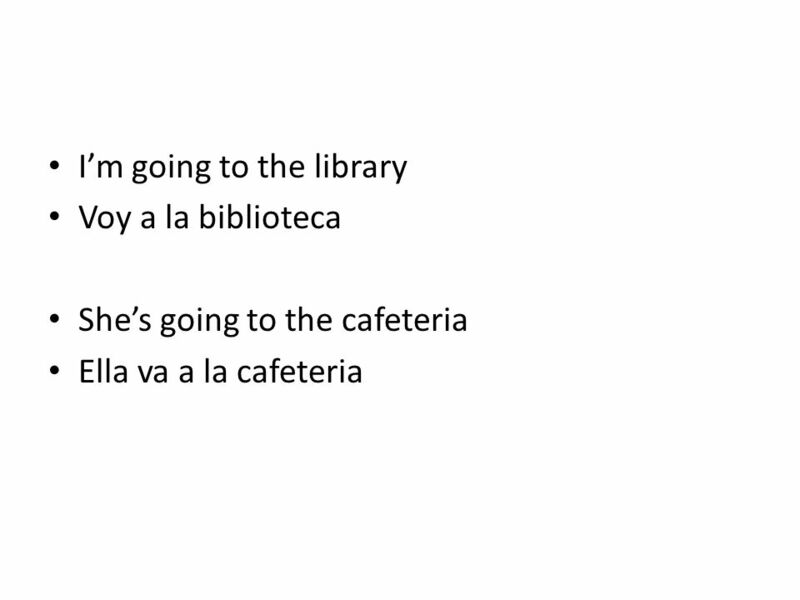 Practice saying where you are going. 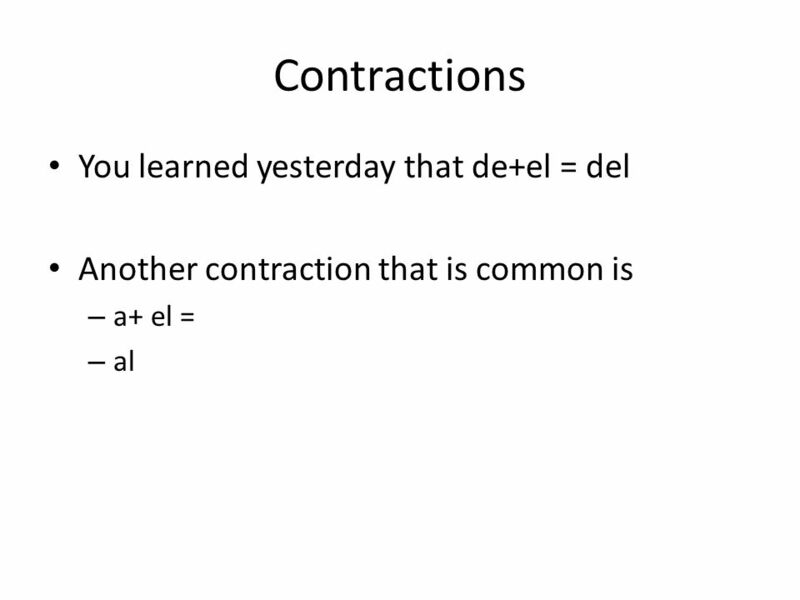 Verb conjugation.